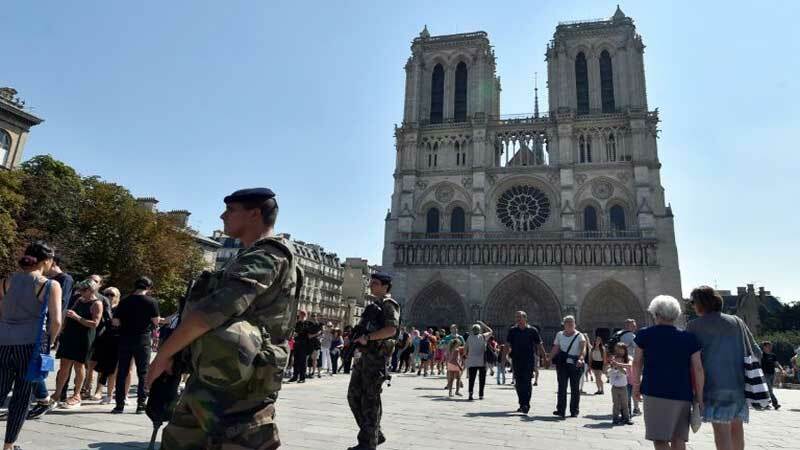 One of three women allegedly involved in a foiled plot in 2016 to blow up a car packed with gas canisters near the Notre Dame cathedral in Paris was on Friday sentenced to eight years in prison by a French court for earlier offences. Ines Madani, 22, was sentenced following a three-day trial during which she was accused of encouraging would-be jihadists to go to Syria and participate in attacks against France between March 2015 and June 2016. She used Telegram — an encrypted messaging app widely used by jihadists to communicate. Judge Isabelle Prevost-Desprez said that Madani was “recruited” by Oumar Diaw, also known as Abou Barrou, an influential jihadist of the Islamic State group. She used different pseudonyms on social networks, pretending for example to be Abu Souleymane, a jihadist returned from Raqa to carry out attacks in France. “You had some autonomy in the management of your personality…. Your determination marks your dangerousness,” Prevost-Desprez said. Madani’s lawyer, Laurent Pasquet-Marinacce, said her client, aged 18 at the time, was “a girl in search of recognition and love”. “This (the sentence) is an acceptable decision,” she said. Madani’s trial for trying to set fire to the car filled with six gas cylinders near Notre Dame will begin on September 23.